Xiaomi hopped on the 18:9 display wave with the release of the Xiaomi Redmi 5 and the Xiaomi Redmi 5 Plus in China back in December. Since then, the company has also released the Xiaomi Redmi Note 5 Pro (which is known as the Xiaomi Redmi Note 5 in China), along with the Xiaomi Redmi S2/Redmi Y2. All of these phones have 18:9 displays without a display notch, and they provide more screen area than their predecessors. 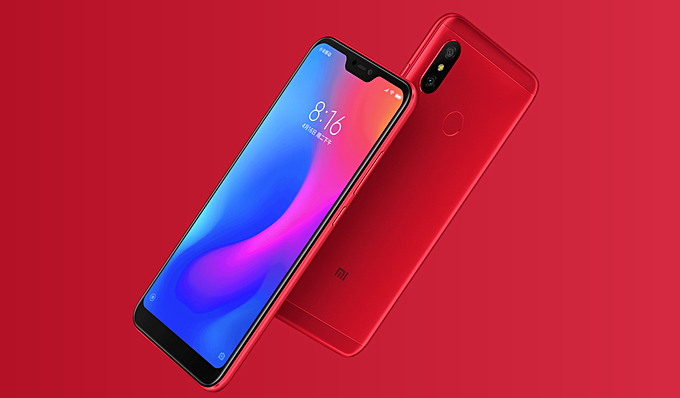 The launch of the flagship Xiaomi Mi 8 (as well as the mid-range Xiaomi Mi 8 SE) signified that it would not be long before Xiaomi released a Redmi phone with a display notch, to keep up with the 2018 smartphone trends. Only a few days after announcing the Redmi 6 and the Redmi 6A in China, Xiaomi has now officially launched the Redmi 6 Pro in the country. Its specifications are noted below. The Redmi 6 Pro’s design is very similar to previous Redmi phones such as the Redmi Note 5 Pro, Redmi 5, and the Redmi 6. It features metal construction with plastic caps on the rear top and bottom. The dual camera module is placed at the top left on the back, along with the LED flash. The change in design comes on the front, as the Redmi 6 Pro is the first Xiaomi budget phone to feature a notch. Unfortunately, Xiaomi’s implementation of the notch has led to the worst of both worlds in the Redmi 6 Pro. 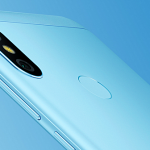 Despite the presence of a notch, there is still a sizable chin at the bottom of the front that is not occupied by navigation buttons or a fingerprint sensor. The phone uses onscreen buttons, and the fingerprint sensor is placed on the back below the dual camera module. The presence of the thick chin is understandable because of its nature as a budget phone, though. The Redmi 6 Pro is powered by the Qualcomm Snapdragon 625 system-on-chip. Xiaomi’s use of the Snapdragon 625 is starting to become legendary now, as this is yet another phone to use the now outdated chip (it’s worth noting that the first Xiaomi phone to feature the SoC was the Redmi Note 4, launched back in January 2017). The Snapdragon 625 has long since been succeeded by the Snapdragon 630, which was itself succeeded by the newer Snapdragon 636. Xiaomi itself uses the Snapdragon 636 in the Redmi Note 5 Pro, so it’s perplexing to see the inclusion of the Snapdragon 625 in another Xiaomi budget phone. The phone comes with either 3GB or 4GB of RAM. The 3GB RAM variant is paired with 32GB of storage, while there are two 4GB RAM variants that have 32GB or 64GB of storage. The Redmi 6 Pro also has a dedicated microSD card slot, which means that users can use two SIMs and a microSD card at the same time. The Redmi 6 Pro has a 5.84-inch Full HD+ (2280×1080) IPS LCD with a 19:9 aspect ratio. The display size is the same as the Huawei P20 Lite, for example. Despite its “Pro” name, the Redmi 6 Pro has a smaller display than the Redmi 5 Plus/Indian Redmi Note 5 as well as the Redmi Note 5 Pro, both of which feature 6-inch 18:9 notchless Full HD+ displays. The Redmi 6 Pro’s dual camera setup is the same as the one found on the Redmi Note 5 Pro, as well as the Redmi S2/Redmi Y2. It has a 12MP primary camera with 1.25μm pixels, f/2.2 aperture and EIS, which is augmented by a 5MP depth sensing camera with f/2.2 aperture. The primary camera has phase detection autofocus (PDAF). It can record video up to 108op resolution at 30fps. The phone is powered by a 4000mAh battery, with 5V/2A charging. It has dual-band Wi-Fi 802.11b/g/n, Bluetooth 4.2, a microUSB port, dual nano SIM slots, and a 3.5mm headphone jack. The Xiaomi Redmi 6 Pro is powered by MIUI 9 on top of Android 8.1 Oreo. The phone has support for AI-based face unlock, just like newer Xiaomi devices. The Redmi 6 Pro will be available in Stone Black, Sand Gold, Cherry Blossom Powder, Bali Blue, and Flame Red colors. The 3GB RAM/32GB storage variant will be available for CNY 999 ($153). The 4GB RAM/32GB storage variant will cost CNY 1199 ($185), while the 4GB RAM/64GB storage variant will be available for CNY 1299 ($200). Pre-orders have gone live in China, and sales will begin from June 26. Xiaomi hasn’t stated whether the phone will launch in international markets. Let us know your opinion about the Xiaomi Redmi 6 Pro in the comments below.